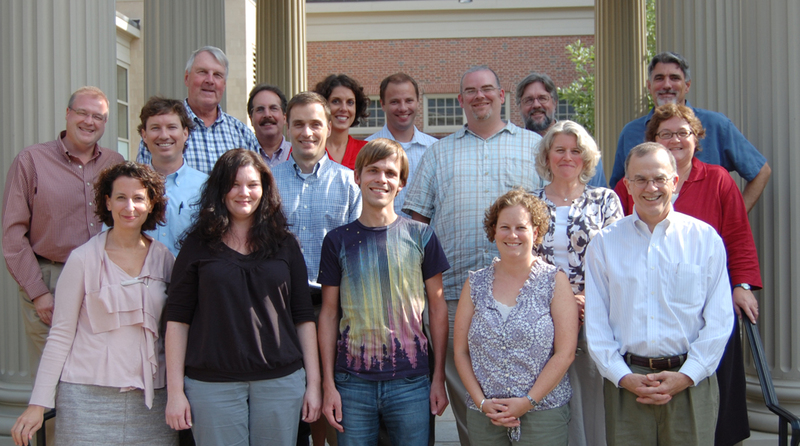 Today was the last meeting of the first Dean’s Advisory Council, an idea that emerged from our School-wide planning retreat in the summer of 2008. The DAC met for the first time on September 28, 2008, and it met a total of 38 times over the last three years. That does not include the involvement of individual members with various committees related to strategic planning. I am so grateful for their hard and creative work. Many thanks to the DAC for hanging in there during the twists and turns of our planning process. I believe that our work on strategic planning, especially the work of the DAC, is changing our culture in ways that will continue to improve our programs. Organizational culture is complicated. I read a blog post a few months ago titled Culture Trumps Strategy that resonated strongly with me. The post argued that no matter how seriously we declare our intentions to carry out strategic changes, those changes will not happen, and they certainly will not endure, unless they are supported by the organization’s culture. Our strategic planning has resulted in a number of tangible accomplishments, which I will blog about later. For now I want to describe some of the cultural changes that can be attributed directly or indirectly to our strategic planning, and to the work of the DAC. These cultural changes are important because they will provide the groundwork for many more programmatic changes in the future. Commitment to Planning. The first School-wide event on June 1, 2007 revealed a strong organizational interest in strategic planning. That was when Bob Joyce and Vaughn Upshaw premiered their roles as Albert and Gladys Coates. A commitment to strategic planning as a serious activity with individual and organizational consequences represents a shift for the School. It reinforces the value that we have a shared responsibility for carrying out our mission. The DAC and the Management Team will continue to strengthen the School’s commitment to strategic planning as we collect data and conduct our next round of planning. Data Collection to Inform Our Decisions. Our strategic planning and implementation has been marked by something unusual for the School−we collected lots of data to inform our planning work. Mulberry Partners conducted focus groups with 90% of the School’s employees, and Fountainworks collected external data using surveys, interviews, and focus groups. Nearly all of the implementation committees conducted extensive surveys to inform their work. The DAC identified the need for the systematic and regular collection of external data from our clients, and we will begin gathering and analyzing data every other year as a way to inform our planning and our day-to-day decisions. Greater Representation and Inclusion. 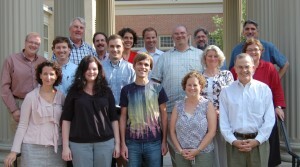 The idea for the DAC emerged from our June 2008 planning retreat at the Kenan-Flagler Business School. Moving to the DAC from the Strategic Management Committee created a much more representative and inclusive planning process. The DAC’s participation as a collaborative group across all categories of employees has reinforced a cultural expectation that everyone in the School has something valuable to contribute to our mission, and that we want and need everyone to be involved in meaningful ways. Its members represented and modeled that behavior for everyone else in ways that have made it an integral part of our cultural identity. Focus on Impact. 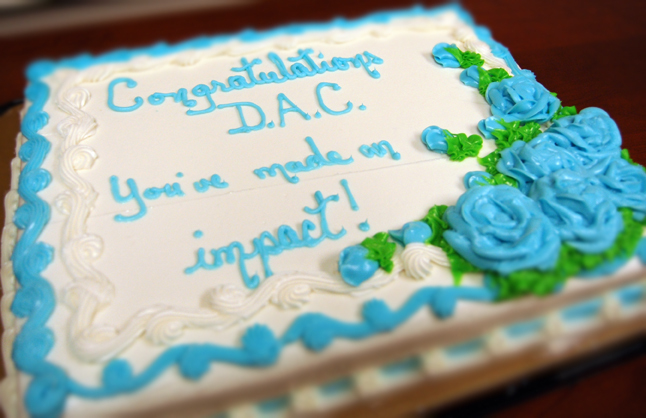 The DAC made a substantial contribution to our culture when it focused our attention on producing a greater impact. The goal of the planning process was to answer three guiding questions involving impact: (1) what should we do to have the greatest impact, (2) how should we do it to have the greatest impact, and (3) how can we become a more high-performing organization, which was another way of approaching the issue of impact. The DAC worked through a set of impact principles and ended up with a framework that clearly articulated the School’s values and outlined the kinds of work that we believe have the greatest impact. The DAC’s development of impact as an overarching theme positively affected our planning process, but it also has had a ripple effect beyond the process that is difficult to measure. Putting impact out there as an expectation across the School requires each of us to consciously ask if I’m having the greatest possible impact in my work. I am convinced that we are doing more to increase our impact because smart and committed colleagues regularly ask themselves the question. The emphasis on impact has highlighted a long-time value at the School around the importance of continuous improvement, and at the same time it has focused our attention on the need to think even harder and more urgently about innovative changes that will make a difference. It is easy to be cynical about impact and write it off as a meaningless buzz-word. I’ve had colleagues tell me that impact has been a helpful framework, however, and I believe that it is becoming an important, explicit part of the School’s culture. Improved Communication and Transparency. The emphasis on communication in our strategic planning process produced new mechanisms for School-wide communication that are now being used in many other ways. It also increased the value of sharing lots of different kinds of information more transparently across the entire organization. The DAC came up with the idea of soliciting feedback through smaller groups of colleagues so that more people would actually participate in our dialogues about issues in an engaging way. We conducted a series of eight different roundtable meetings in early 2009 to solicit feedback about the proposed impact principles, and in October 2009 we held three open forums with me and the DAC members to solicit feedback about our proposed strategic priorities. For better or worse, this blog was another communication idea that emerged from the planning process. The DAC did a much better job of keeping everyone informed about the details of our strategic planning process through the great assistance of Ellen Bradley, her team, and Mulberry Partners. Sharing more information tends to create an interest in receiving more information. Our improved communication helped to increase the overall value of transparency at the School. I might not have automatically shared as much information about the budget crisis, for example, if I had not already developed the habit of sharing more information through the planning process. Increased communication and transparency complements nicely our focus on greater representation and inclusion. Commitment to Improving our Internal Operations. The guiding question around the School becoming more of a high-performing organization has emphasized the importance of improving our internal operations. The work of the DAC, and especially Audrey Williams, Brian Newport, and the Organizational Development Committee, has illustrated that we actually can bring about operational change, even in areas that have seemed difficult to change. We have dramatically reduced printing costs, for example, and also changed how we set course registration fees and generally manage our courses. The emphasis on internal operational improvement, which we always have worked on to some extent, has been elevated as a priority across the School because of the DAC’s work. The Collaborative Work Environment Committee grew out of the Organizational Development Committee and it has focused on improving communication and collaboration. The retreat on June 1, 2010 introduced the theme of improving our internal communication that culminated in training for everyone by Peg Carlson. Nearly every day I see an example of how poor communication makes our work harder or less effective. I believe that good communication and collaboration are in the process of becoming cultural expectations at the School. This is all so positive and I am impressed with how much work the DAC members did while staying on top of their own tasks. In the interests of transparency though, it jumps out at me when I look at the photo that there aren’t any people of color involved in this important work of strategic planning and defining organizational culture. Excellent point. There was some racial diversity in the original composition of the group, but that person resigned from the committee. I will work to insure greater diversity in the composition of DAC II.